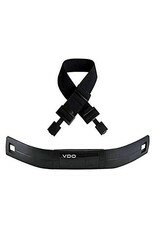 MATERIALS: VDO M-SERIES M5/M6 Bicycle Wireless Heart Rate Monitor made by extra durable and long lasting materials. The function of heart rate monitor from the odometer wl m5 and m6 wl. Sensor data transmission is done with wl system. THE STRAP: Access more functions on your VDO M5 or M6 bike computer with this wireless hrm strap. 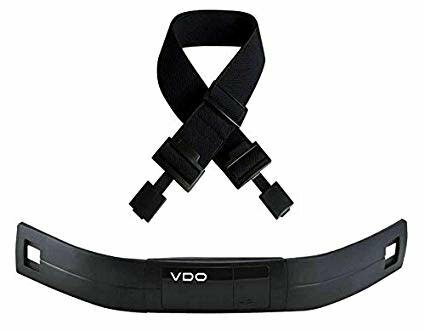 Includes elastic chest strap and battery. Designed for easy usage and storage. Suitable for outdoor use. THE COLOR AND DIMENSIONS: It is a Black color Wireless Heart Rate Monitor. The Item Dimensions is 1.18 x 3.39 x 1.34 inches. BATTERY FUNCTIONS: It include Lithium Battery Packaging and Batteries contained in equipment. FEATURES: Wireless, Easy to Install, Heart Rate Kit only!, for M5 and M6 only.